I'm so infatuated with L'oreal Infallible Eyeshadow in 'All Night Blue', and wanted to show you how it looks. 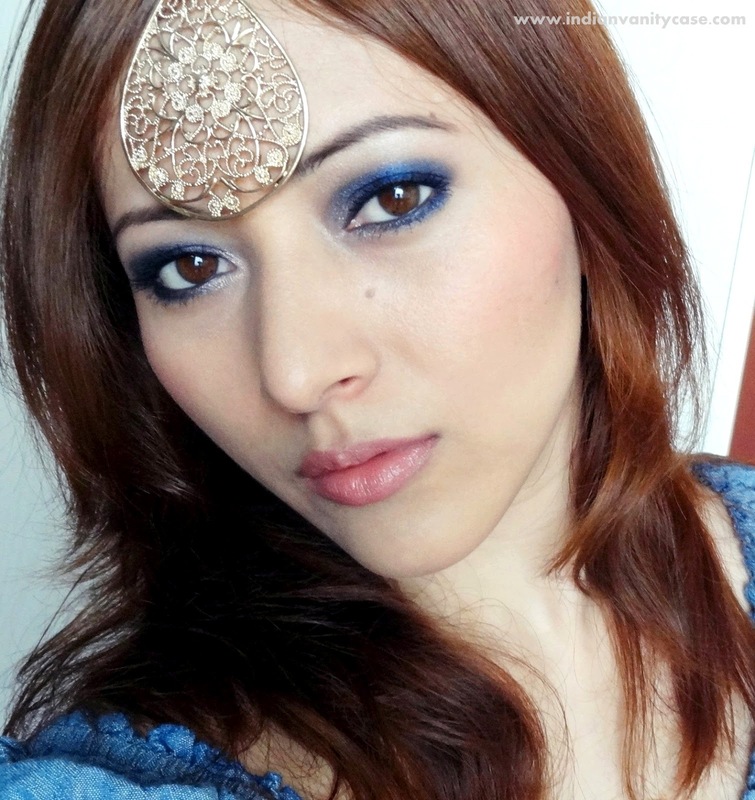 The blue is so striking & glam, that it makes my eyes look brighter. 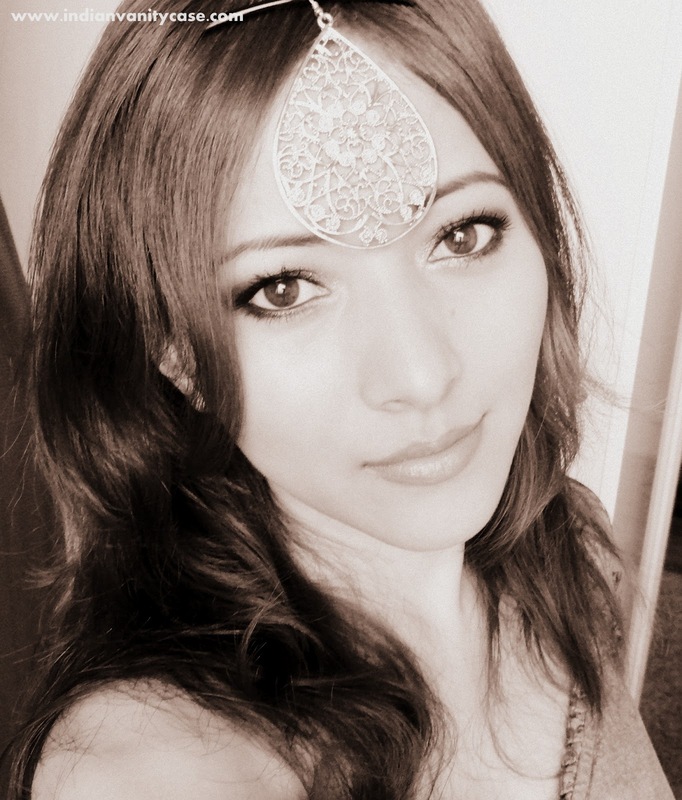 I'd wear these eyes with a black dress, jeans/white shirt combo & royal blue Indian wear (not that I have one). If it's too loud for you, you can apply it only on your lower lash line, like a colored liner. 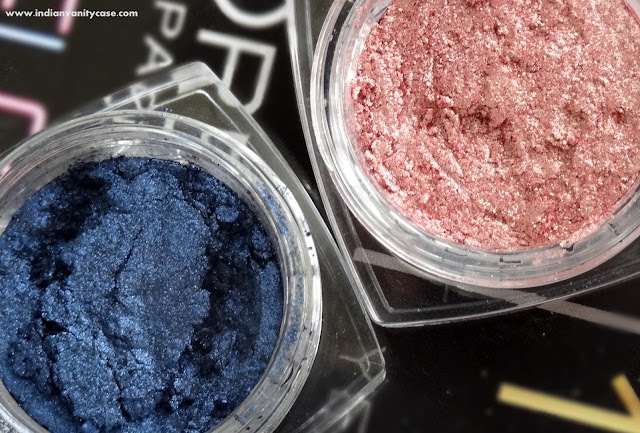 I used the L'Oreal Infallible Eyeshadows from L'or Electric Collection (swatches here)-used All Night Blue all over my lid & Forever Pink on the inner corners. Cheeks: The Body Shop Honey Bronzer Bronzing Powder, MAC Fleur Power Blush. Lips: Maybelline Totally Toffee Color Sensational Lipstick. soo pretty! fab job with the eyes! i was thinking of getting this....now I made my mind...thanks dear. It must be available somewhere..just google it? Veryyy pretty shade like inglot pearl 428, i love such shades! Yes, it is very similar to that, Manya! 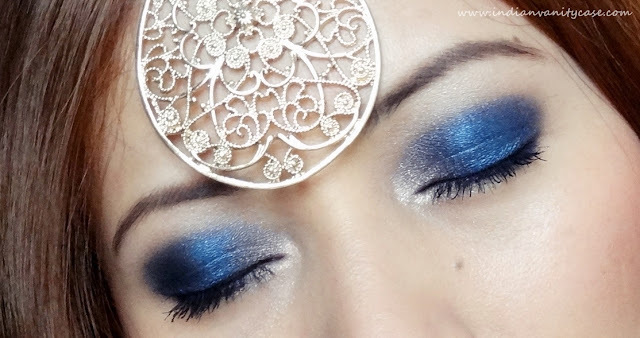 Blue is my favourite when it comes to picking eyeshadows.one can just accessorize the entire look by using a blue eyeshadow! The forever pink near the tear duct looks more like hourglass beige...anyhow, can you please suggest the 2 must haves from this collection.